Ginger is a plant that has been used in Traditional Chinese Medicine for centuries. Oil taken from the ginger plant is used as an anti-nausea and anti-vomiting medication, with no known side effects and no interactions with other drugs or nutrients. Ginger stimulates the digestive tract and prevents irritation to the intestinal walls. It is used to treat atherosclerosis, rheumatoid arthritis, motion sickness, colds and cough, and headaches. It is also considered a safe treatment for pregnant women with morning sickness. Another use, although ginger is not well known for it, ginger is a natural decongestant and antihistamine. 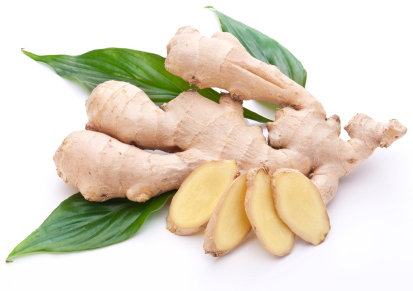 It is thought that by dilating constricted bronchial tubes ginger provides relief to cold and allergy sufferers. In addition to everyday forms of nausea, ginger has been shown to reduce the nausea experienced after surgery and chemotherapy. Ginger helps to prevent motion sickness and is useful for elderly people who are not steady when mobile. Sufferers of rheumatoid arthritis may experience reduced swelling of their joints as a consequence of taking ginger. Ginger can be consumed in many ways. Sliced ginger root can be eaten raw or cooked. Powder ginger is commonly used as a spice in many different foods. Ginger can be consumed as a fluid, usually as ginger tea or ginger ale. Ginger extract is available to take in pill form. Several of the herbal formulas that we utilize in Traditional Chinese Medicine incorporate ginger — a very beneficial herb. Contact Acupuncture Alternatives if you want to learn more about how Chinese herbals can help play a role in keeping you on the road of good health – 480 671 5178.